My good friend H just came back from a two week holiday in Belgium and France. While in Europe, she posted all of her food adventures – her dinner at a 3 Michelin star restaurant, visiting chocolate shops, eating pastries and mounds of nougat! 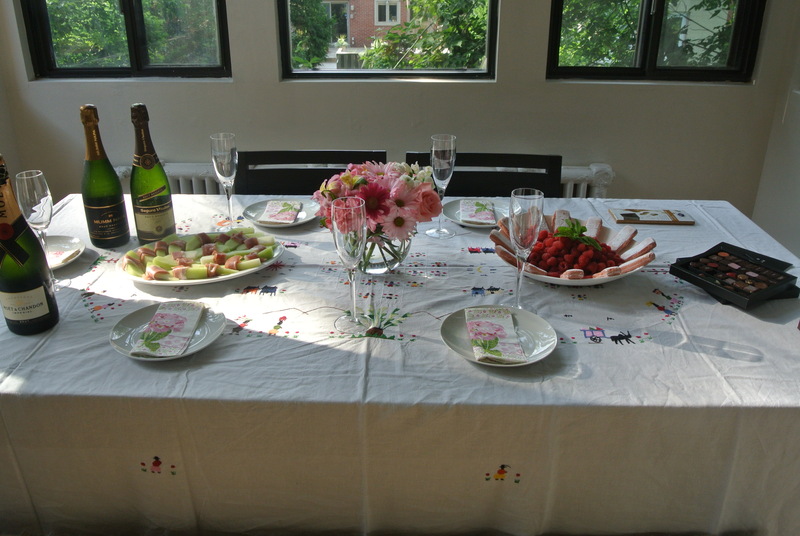 So when she came back home, she hosted a dinner party to share all the goodies she brought back from her trip! Check them out – I can’t wait for my trip in September! 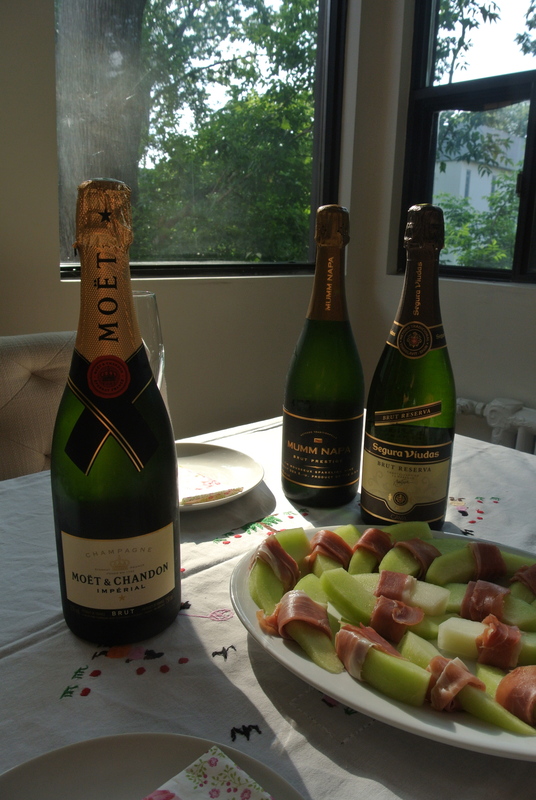 Champagne from the region of Champagne (Reims) – a purchase from her tour at Moet & Chandon. 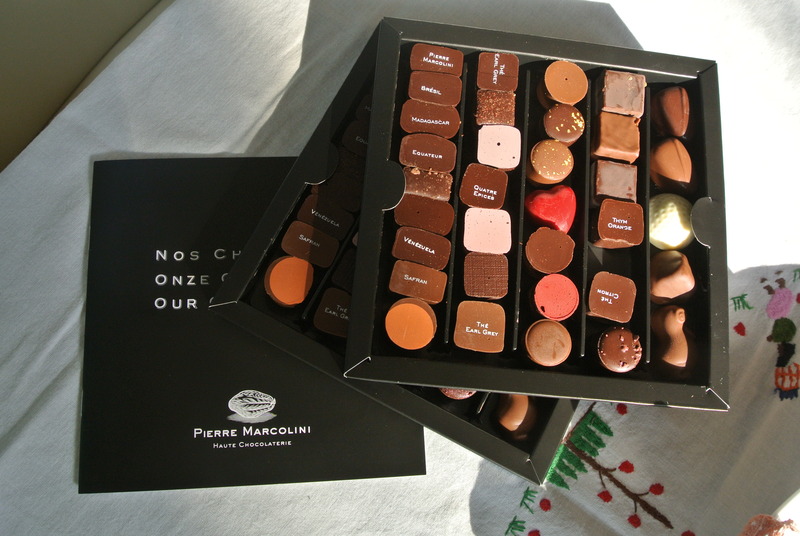 Chocolates from Pierre Marcolini in Brussels, her favourite! 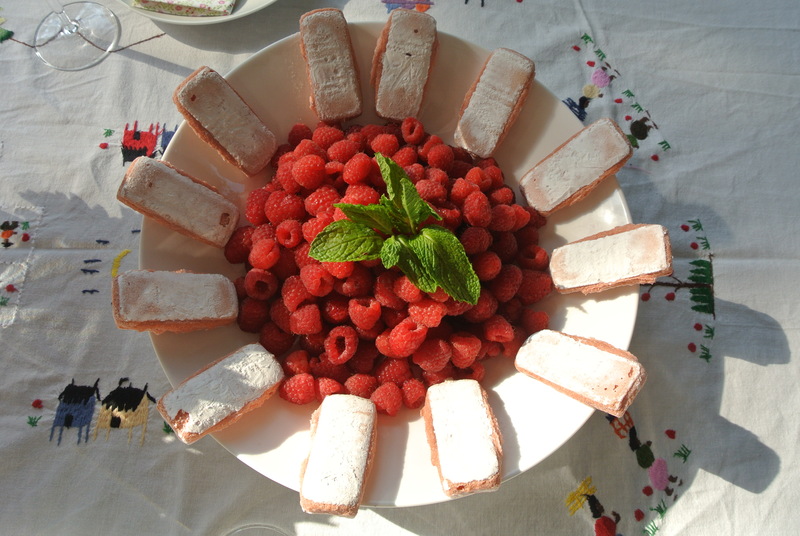 I must admit, these were delicious! 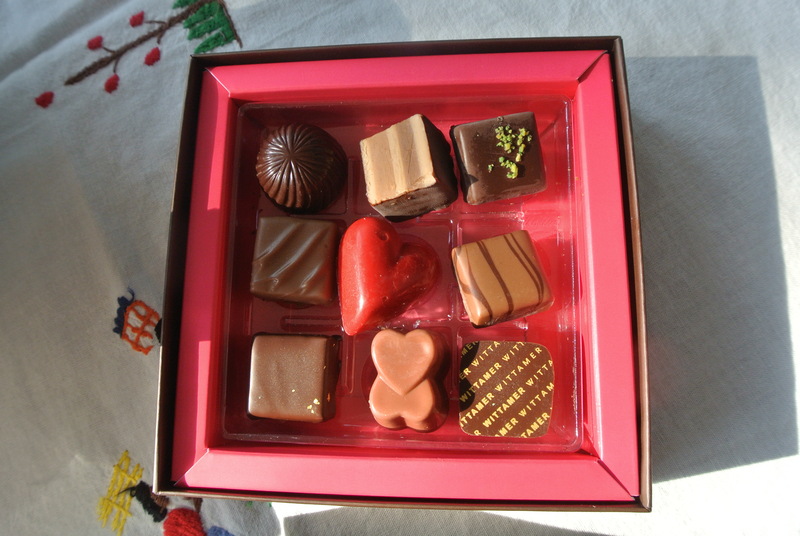 A box of Wittamer chocolates – from Brussels. A beautiful table setting, so pretty and so simple – the food is the star here!